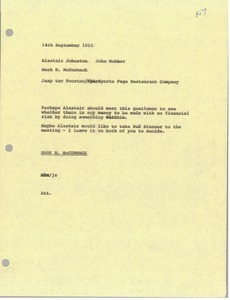 Concerning Alastair Johnston potentially meeting with Jaap ter Poorten, to see if there is "any money to be made with no financial risk." 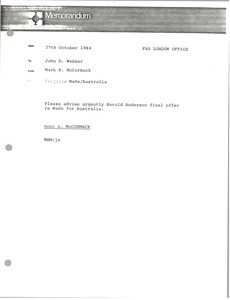 McCormack asks Webber to advise him on the Harold Anderson final offer re Wade for Australia. 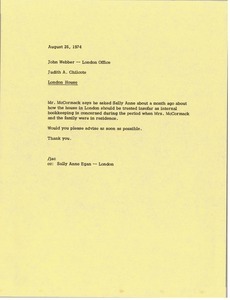 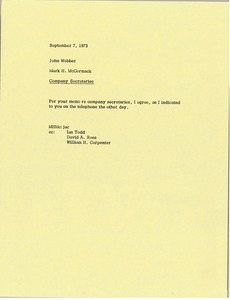 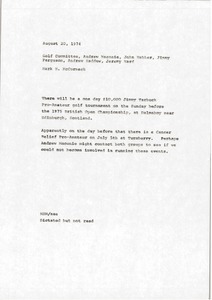 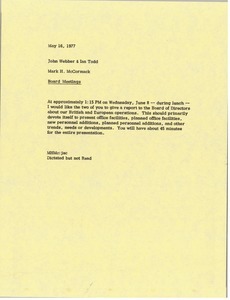 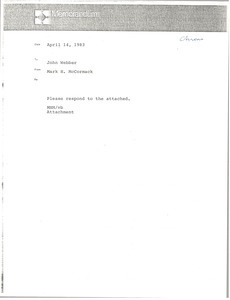 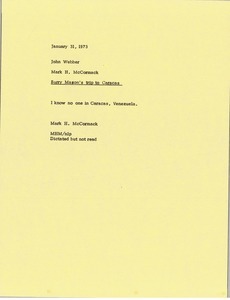 McCormack wants Webber to respond to the attached. 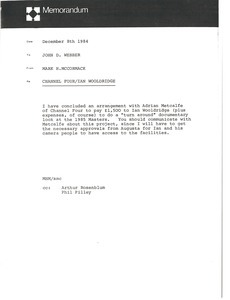 Concerning a documentary on the 1985 Masters to be done by Ian Wooldridge for Channel Four. 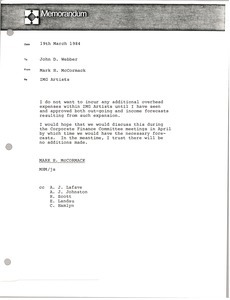 McCormack does not want to incur any additional overhead expenses within International Management Group Artists until he sees income forecasts.